Hong Kong-listed Galaxy Entertainment Group has released its unaudited financial results for the first quarter showing a 5% increase year-on-year in overall revenues to $1.81 billion alongside a 31% rise in earnings before interest, tax, depreciation and amortization to $411.21 million. Galaxy Entertainment Group operates the Galaxy Macau, StarWorld Macau and Broadway Casino in Macau and recorded total gaming revenues of $1.68 billion for the three-month period to the end of March, which was a boost of 4% year-on-year, while annual adjusted annual earnings before interest, tax, depreciation and amortization grew by 34% to hit $398.36 million. 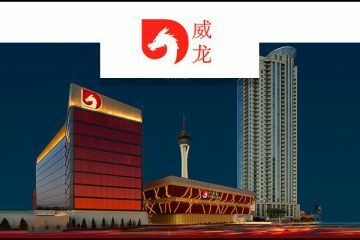 Galaxy Entertainment Group is also responsible for Macau’s President Casino, Rio Casino and Waldo Casino and stated that total mass-market table games revenues for the quarter rose by 15% year-on-year to $745.33 million although VIP takings declined by 5% to $873.82 million “as a modest volume increase was more than offset by not playing as lucky”. In terms of individual performances, Galaxy Entertainment Group explained that its Galaxy Macau development had posted a 5% swell year-on-year in first-quarter revenues to $1.31 billion while its adjusted earnings before interest, tax, depreciation and amortization had improved by 27% to approximately $334.11 million. For its StarWorld Macau venue, quarterly takings strengthened by 6% to $398.36 million while a 27% bump took three-month earnings to $83.39 million with the nearby Broadway Casino reporting a 25.4% decline in revenues to $17.34 million although earnings doubled to just over $771,000. Finally, Galaxy Entertainment Group declared that its first-quarter balance sheet “remains liquid and healthy” and that it held cash and investments worth about $3.21 billion while its total debt had fallen by almost 12% since the end of 2016 to stand at $668.24 million.